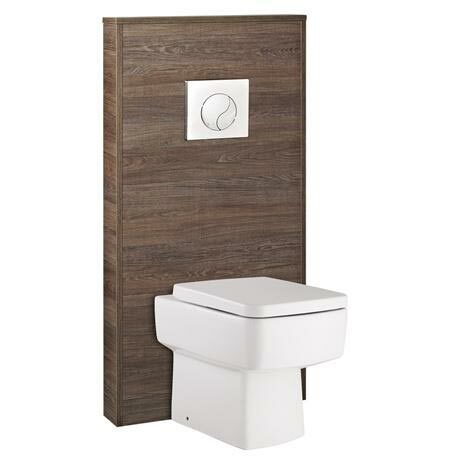 The Mid Sawn Oak Horizon Slimline back to wall WC unit with cistern and modern square pan from Hudson Reed. If you prefer a warmer hue for your bathroom furniture, opt for the mellow tones of the Mid Sawn Oak finish Horizon furniture range from Hudson Reed. Comes with dual flush concealed WC cistern and a square pan with top fix toilet seat.